General Motors was hit last week with another lawsuit brought on by more than 650 people who were allegedly injured or killed in accidents involving cars that have been recalled this year for faulty ignition switches. The lawsuit was filed in Manhattan federal court by a Texas-based attorney. Dozens of cases against GM over the switch recall have been consolidated in Manhattan federal courts. The suit names a total of 658 plaintiffs, including 29 who are bringing claims on behalf of people who died. GM has recalled nearly 15 million vehicles worldwide since the beginning of the year over potentially defective ignition switches. The company has set up a program to compensate victims of accidents involving about 2.6 million of those cars, mostly Cobalts, Ions and other small cars that were linked to 54 collisions and 13 deaths. The most recent lawsuit covers claims that would not be eligible for the program, including accidents involving cars not among the 2.6 million originally recalled for switch issues and accidents in which the car’s airbags deployed. The lawsuit argues that airbag non-deployment is a key sign that the ignition switch may not have been properly working. The lawsuit also includes people who would receive less than “fair value” for their claims under GM’s program. 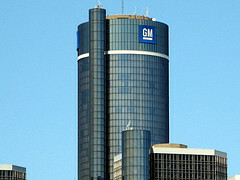 The accidents cited in the newest lawsuit occurred after GM exited bankruptcy in July 2009. This latest suit focuses on deaths and injuries that occurred in ignition-switch defective vehicles after 2009. It is important to address this time distinction because GM was reorganized after declaring bankruptcy back in 2009. This has created a legal divide between the “old GM” and the present, post-bankruptcy GM. GM has argued that this prevents the current GM from taking on any legal liability of the “old GM,” and that all claims involving “old GM” must be handled in federal bankruptcy court. However, this newest lawsuit is attempting to bypass this argument by focusing on injuries and deaths that happened after the 2009 bankruptcy. The lawsuit alleges that 29 plaintiffs died and 629 were injured because of the ignition switch defect. It will be interesting to see how this case, as well as the other pending suits filed against GM, plays out. It seems that if these cases are not handled soon, GM could be looking at another bankruptcy. If you or a family member has been injured or killed by a defective vehicle, you do have legal rights. A Florida Personal Injury Lawyer at Whittel & Melton can help you hold all responsible parties legally liable for their negligence. For a free consultation, please call us today statewide and toll-free at 866-608-5529 or contact us online.